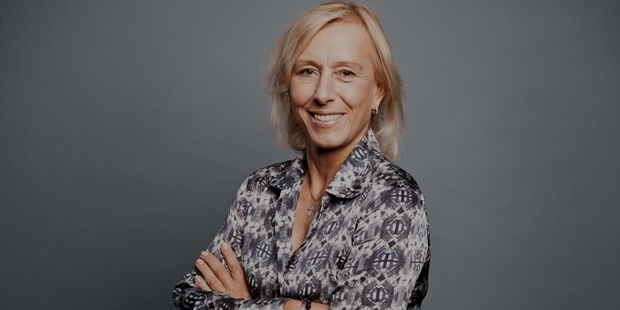 Martina Navratilova was born on October 18, 1956 at Prague, Czechoslovakia. Her step-father Miroslav Navaratil was her first coach who taught her the basics of the game. Soon she began training rigorously in order to pursue Tennis Player as her profession. At the age of 15 she came into the spotlight by winning the Czechoslovakia National Tennis Championships. In the year 1975, she turned professional and was playing regularly on the United States Lawn Tennis Association (USLTA) tour. But in 1974 she had already won her first singles title in Orlando, Florida. In the year 1975, she came runner-up in two major finals namely the Australian Open and the French Open. That year she combined with Chris Evert to win the French Open women’s doubles title. At the age of 18 this teenager had already won a major and was so close to winning a Grand Slam singles title. Her first major singles title came in 1978 at Wimbledon. This also made her the number one player in the world for the first time. She came back and successfully defended her Wimbledon title next year. Her third singles major title came in the 1981 Australian Open by defeating her long time rival Chris Evert. In 1982, Navratilova improved her performance to win both Wimbledon and French Open singles title. But still Navratilova lacked proper fitness and was not able to perform at her peak consistently. So she adopted the training plan of Basketball Player Nancy Lieberman to be able to compete with tough opponents like Chris Evert and Tracy Austin. She also changed her racquet during this time and began using a heavier racquet. With these improvements to her game she progressed to become the most dominant player on the circuit. In the year 1983, she only lost one match in the whole year at the French Open. Her record stood at 86-1, with three major title triumphs. In 1984, she won the French Open singles title thus holding all four Grand Slams at the same time. In the 1987 she won the singles, doubles and mixed doubles crowns at the U.S. Open. That year she also was able win all the four Grand Slam titles in the women’s doubles category with her partner Pam Shriver. Between 1983 and 1985 she and her partner were able to record 109 consecutive wins. Navratilova continued her dominant display till 1986. For five years from 1982-1986 she was awarded both the ITF World Champion and WTA Player of the Year prize. Her dominant display in singles, doubles and mixed doubles are unmatchable. She went on to reach the finals of all the 11 major tournaments held between 1985 and 1987. She reached nine consecutive Wimbledon finals between 1982 and 1990. She was ranked as Number one in the world for 156 consecutive weeks and 331 weeks overall. She has 167 singles titles, 177 doubles titles and 15 mixed doubles titles to her credit from her illustrious career. She is sixth in the all time earners list with $21,600,000 in prize money earnings from her career. At the end of her career she had 18 major singles titles (3 Australian Open, 2 French Open, 9 Wimbledon, 4 U.S. Open). Her winning percentage at the majors was 86.2% with 306 wins in 355 matches. As a whole she has won more than 1,442 matches in her singles career. She also has the longest winning streak of 74 matches. On top of this she has had an excellent doubles career with 31 major women’s doubles Grand Slam titles and also 10 mixed double Grand Slam titles. She is widely accepted as the most dominant tennis player of the Open Era. Her immense success has been the result of the constant improvement and persistence that she has focussed on throughout her career.